Carolina Repair & Lighting, Inc. Comment: I am in contract to buy a house and we are wanting to replace the chain link fence with privacy fence . Est about 900 feet of fencing. The yard is .58 acres and almost a perfect square , hope my numbers match up. Comment: Installing about 200 feet of chain link fence along lines previously fenced. (Previous fencing removed.) I have some of the fence, posts and gates, but more will be needed. Comment: Install about 200 feet of 48" chain link fence and three gates. I already have some fencing and 2 gates. 1055 Upper Brush Creek Rd. 51 Blue Ridge Acres Rd. Swannanoa Fence Contractors are rated 4.73 out of 5 based on 455 reviews of 19 pros. 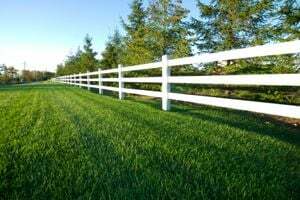 Not Looking for Fences Contractors in Swannanoa, NC?